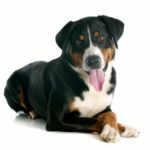 The Appenzeller Sennenhund is a dog breed native to Switzerland. It is also known as “The Appenzell Mountain Dog” or the “Appenzell Cattle Dog.” The breed is medium in size but well-built and is the rarest one among the four mountain dog breeds of Swiss Alps. 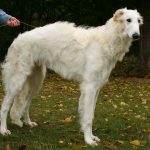 Even though the breed is over a century old, it got international recognition as a distinct breed only in the year 1989. The dog was traditionally bred as a farm dog and primarily assisted in herding the cattle. They also excelled at guarding both flock and farm with no regard for their own life. Natives also employed them for pulling carts as well as drafts dogs. Adaptability – This dog may adapt well to new conditions. Dog Friendly – The dog requires early socializing with other animals to get along with them. Exercise Needs – The dog requires a very active lifestyle to meet its physical and mental stimuli. Social Needs – The dog needs to be socialized well. Grooming -The dog is quite easy to groom with weekly brushing and occasional shampooing. Barking Tendencies – The dog is a barker and it might not be suited for close neighbours. 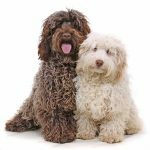 Health Issues – This dog species doesn’t have many known health issues. Territorial – The dog is highly territorial implying it needs supervision. Intelligence – The dog scores a medium to high on intelligence and responds well enough to situations. Trainability – The dog needs to be trained vigorously from an early age by an authoritative and firm figure. Child Friendly – The dog is quite child friendly. Playfulness – The breed is great to play with. Watchdog Ability – The dog breed is a great watchdog. 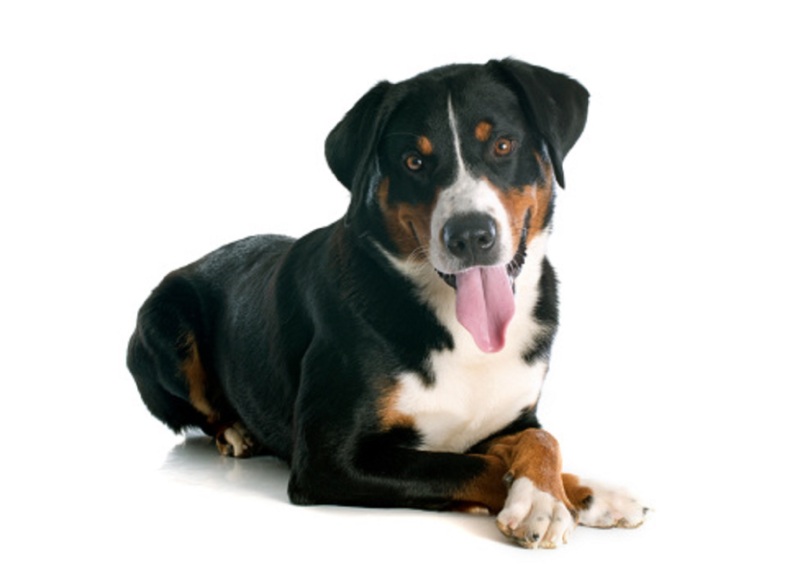 Appenzeller does not need a special meal plan and like most dogs will relish all foods in front of it. Still care should be taken to give it a good diet with a strict exercise regime to keep it health and active. They eat most forms of meat as well as an occasional helping of yoghurt and eggs. Various dog food brands are also available for it. Being a native breed of Switzerland, Appenzeller Sennenhundis are used to temperatures ranging from -15°C to +35°C. These dogs are able to tolerate cold weather conditions as well as moderate to high hot weather. The Appenzeller Sennenhund is a farm dog and is traditionally used to living in open and vast landscapes. It is a very active medium sized dog. The breed demands high amount of exercise, stimulation and training. All that energy bubbling through it needs to be channelized with an active, regular and strict exercise regime or some form of sport or the dog may get bored and turn destructive. This breed does not adapt to apartment life and prefer outdoors with permission to run free, such as on a farm. In closed and confined apartments extra attention needs to be paid to their mental and physical exercise needs. They like to bark, so they maybe a nuisance in areas with close neighbours. 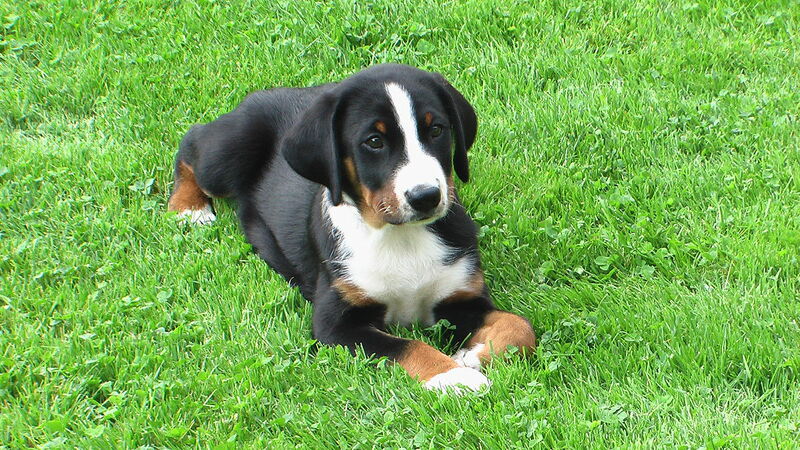 Appenzeller Sennenhund was not traditionally trained to hunt; thus it has a medium prey drive. It is traditionally a herder, so it may chase anything that comes into its territory; but it will not go too away far from its home. With proper training and handling the dogs behaviour may be kept in check. 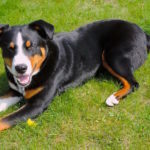 Appenzeller Sennenhund is a purebred dog. Its litter size has about 4 to 8 puppies. It is a working dog breed. It is labelled as a rare breed in many western countries. Even in native Switzerland, the breeding stock is quite limited. 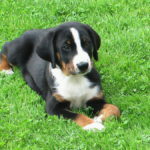 Appenzeller Sennenhund is a medium to large sized dog breed with compact yet sturdy built. It is distinguishable by its tricolour coat which is black or brown and has white or rust markings. 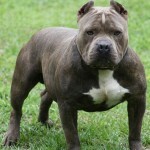 It is muscular dog with its looks giving impression of agility and deftness. It has small eyes and triangular pendant like ears. It has straight limbs and a rolled up tail. The breed has an average lifespan of about 9 to 13 years. With proper care some even reach the age of 16-17 years. This bread is a fairly healthy breed which is rarely seen in a dog breed of this size. It has almost non-existent genetic or hereditary health issues. Much credit for this goes to careful regulated breeding of the dog. In general the dog is a healthy breed with a low to medium potential of weight gain. The dog breed is quite easy to groom. It has a double coat of straight hair that just requires removal of dead hairs once in a while using a hair brush. The breed is also quite low on the drooling scale and you don’t have to worry about puddles of dog saliva. Though Appenzeller Sennenhund is a low maintenance breed, yet it sheds hair. The hair shedding is prominent especially during season change. During this time regular brushing maybe required. 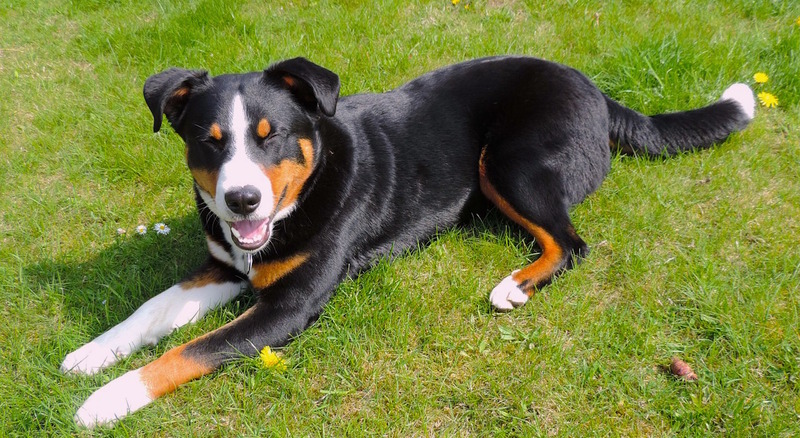 Appenzeller Sennenhund is characterized by its high intelligence and quick learning ability. 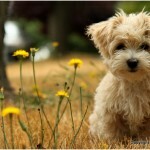 It is athletic, lively and very active working class of dogs. It requires training and proper outdoor activity from a young age. It needs to be socialized early with both humans and animals. This is due to the fact that the breed is territorial and suspicious of strangers and it is best dealt with early while the puppy is young. They are great with family and friends as well as children. They have a close bond with their owners but are attention seekers. Hence they should not be left alone at home or they might tear up your favourite chair. The dogs require firm handling and training and are recommended for persons who have some form of previous experience with dogs. They are a big no for person with a sedentary lifestyle or someone living in closed confined apartment. They make up for great watchdogs.